My son is now about 2 years old and we are giving him this vitamin for al about a year. He is doing fantastic and is almost never ill an growing very well. He really likes the taste and every morning he gets really happy to take his vitamin. Top quality for the best price. We are very happy with this product. 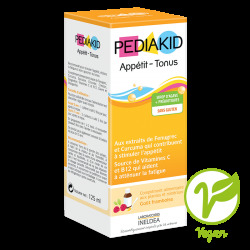 We highly recommend this vitamin for every child. Aryan from Holland.